A lot of content you find on the internet will describe social learning as using social media in your e-learning courses and/or encouraging group learning. These can be a part of social learning, of course, but this is not social learning. For me, social learning is a much more powerful concept than the over-simplification it often gets. Social learning is a learning theory first put forward in detail by the psychologist Albert Bandura in 1977. It is a psychologically complex and detailed theory but it boils down to a relatively simple concept – people learn by observing others and then imitating them. By way of example, it is more effective to show someone how to play football than simply giving them an explanation of how to play. Attention – the learner must pay attention. Back to the football example, the learner must pay attention to the skill or drill being demonstrated. Retention – the learner must also have the ability to retain the information. For example, a football coach could demonstrate a complex set-piece attack, but the complexity might mean the learner doesn’t fully retain the information even though they are paying attention. Repetition is the usual solution, i.e. repeating the demonstration until the learner remembers. Reproduction – the learner must also have the ability to reproduce the behaviour being demonstrated. Back to the football example again, a normal leisure football player won’t be able to learn a highly technical football skill that only a handful of professional players can perform. This is regardless of whether they pay attention and the skill is easy to remember. Motivation – finally, learners need motivation to learn. This is often achieved through praise and/or rewards, although there are other ways to motivate people including helping them advance their careers, improving productivity, etc. 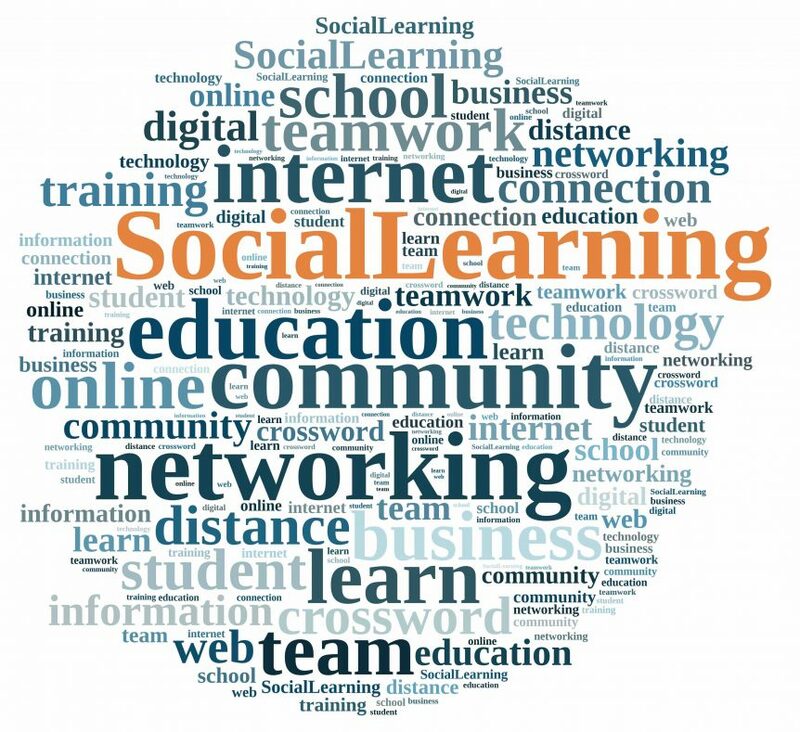 How Can You Use Social Learning? Video – use videos to demonstrate concepts, skills, and theories rather than just explaining them. This will maximise the learner’s ability to observe. Scenarios – add scenarios to your e-learning courses. They should be as relevant to the learner as possible and they should be interactive. In other words, scenarios in e-learning are similar to classroom role play exercises. Quizzes – adding regular quizzes to your e-learning courses will encourage interaction and make learners active participants, i.e. they not only have to take in the information, they must also put it to use. Microlearning – this one is specific to the motivation condition mentioned above. Where you find it difficult to find the right motivating tool, microlearning can help. Microlearning offers you a range of other benefits too, but it also encourages learners to take part in the course, engage with it effectively, and complete it. Social media integration – you can use social media integration to encourage learners to engage with each other. They will also learn and get a better understanding of the topic through this engagement. Group exercises – group exercises offer similar benefits to social media integration, i.e. learners can pick up additional bits of information from their peers to help with their overall understanding of the topic. Personalise – this one is specific to the reproduction and motivation conditions mentioned above. By personalising your e-learning courses, learners are much more likely to have the ability to both complete tasks and be challenged by them, i.e. they will be able to reproduce what they observe in your learning materials. In addition, personalising the content makes it more relevant which improves motivation. As you can see from the above, using social learning in e-learning courses involves adding elements that create the right conditions for the learner to learn. Once the conditions are right, you should then give them various ways of observing the subject matter either through the course material or through interactions with their peers. What are the benefits to your business of doing all this? By using social learning, the people on your courses will learn more effectively which will improve retention rates. This will give you a better ROI and will help you achieve your objectives with the course.